This includes full or partial scholarships in accordance with the educational exchange agreements or consensus between the Chinese government and governments of other countries, institutions, universities or international organizations. It supports undergraduate students, graduate students, general scholars and senior scholars.Applicants shall apply to the dispatching authorities for overseas study of their home countries. You need to apply between early November and next February. Please consult the WMO Secretariat for the specific deadline of each year. This is a full scholarship for designated Chinese universities and certain provincial education offices in specific provinces or autonomous regions to recruit outstanding international students for graduate studies in China. It only supports undergraduates, postgraduate students and doctoral students.Applicants shall apply to the designated Chinese universities undertaking this program. This is a full scholarship for the United Nations Educational, Scientific and Cultural Organization (UNESCO) to sponsor students and scholars in developing countries to study and research in China. It only supports general scholars and senior scholars.Applicants shall apply to the National Commissions for UNESCO in their home countries. You need to apply between early January and early April. Please consult the National Commission for UNESCO in your home country for the specific deadline of each year. This is a full scholarship to encourage students from EU member countries to study and research in China in order to promote mutual understanding between China and EU members. It supports undergraduate students, graduate students, general scholars and senior scholars.Applicants shall apply to the Office for Education and Culture, Mission of the P. R. China to the European Union. This is a full scholarship for the ASEAN University Network (AUN) to sponsor students, teachers and scholars from ASEAN member nations to study in China and to enhance the academic exchange and mutual understanding between China and ASEAN members. It only supports graduates.Applicants shall apply to AUN Secretariat. This is a full scholarship to sponsor students from Pacific island countries to study in China. It supports undergraduates, graduates, general scholars and senior scholars.Applicants shall apply to Pacific Islands Forum (PIF) Secretariat. This is scholarship for the World Meteorological Organization (WMO) to sponsor international students to study and conduct research in meteorology, hydrology, and water resources supervision and management in China. It only supports undergraduates and graduates.Applicants shall apply to WMO. 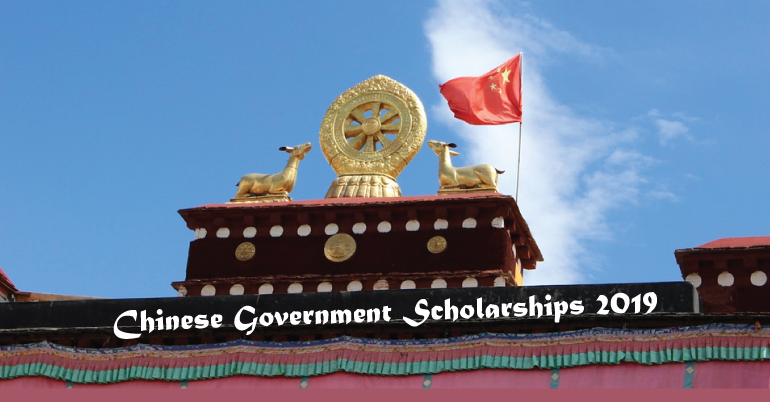 Supporting Categories: Chinese Government Scholarship programs sponsor international students, teachers and scholars to undertake degree studies (bachelor, master and PhD) and Chinese language study or academic research in institutions of higher education in China. Duration: Chinese Government Scholarship covers both major study and Chinese language (preparatory) study. The table below illustrates the duration of each program. Undergraduate scholarship recipients must register for Chinese-taught credit courses. They are required to take one-year preparatory courses in one of the 10 universities listed below and to pass the required test before moving on to their major studies. Graduate and non-degree scholarship students can register for either the Chinese-taught program or the English-taught program if applicable. Program Search (By visiting http://www.csc.edu.cn/studyinchina or http://www.campuschina.org) can help you find the program and university you’re interested in.Scholarship recipients of Chinese-taught programs without adequate Chinese proficiency must take Chinese language courses for one to two academic years to reach the language requirements of their host universities before moving on to their major studies. Failure to reach the required language proficiency will lead to the automatic termination of scholarship. Chinese language courses will be one year for majors in Science, Engineering, Agriculture, West Medicine, Economics, Management, Legal Studies and Fine Arts, and be no more than two years for majors in Literature, History, Philosophy and Chinese Medicine.Scholarship recipients of the English-taught programs or those with adequate Chinese language proficiency do not need to take Chinese language courses. Application process varies for each scholarship.